I had the honor of signing several important bills this week, including the income-tax reduction, the pay increase for starting teachers, mandatory newborn screening for spinal muscular atrophy, the free-speech legislation for college campuses, and a reduction in fees for concealed-carry licenses. It is the third phase of my three-part plan to reform Arkansas's tax code. In Phase One in 2015, I signed the bill that cut taxes for middle-class earners. In Phase Two in 2017, we cut taxes for low-income earners. Those were the two biggest income-tax cuts in the state's history. 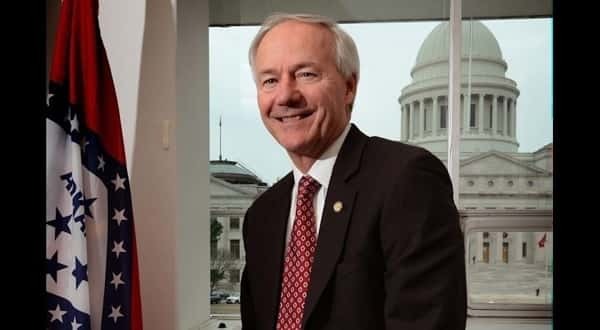 With the signing of the bill on Tuesday, we have given Arkansas a more competitive tax rate that is being recognized by national publications like the Wall Street Journal. When these children were born, there was no treatment for SMA, so doctors didn't screen children for the disease. But in 2016, the Federal Drug Administration approved a drug for treating it. If the treatment is administered before the child shows symptoms, the drug slows the advance of the disorder. After the supporters and children had witnessed the signing, the children in wheelchairs began to chase each other around the long table in the conference room. They made history as the first children to race wheelchairs inside the Governor's Conference Room. The children didn't know it, but their laughter was like a big thank you to the parents and legislators who guided this bill to my desk. They reminded us that we can make life better for others.